I just had one of the most extraordinary experiences of my life. No I did not go to any posh place or meet interesting people in person or tasted the best cuisine in this planet. I simply just finished watching the most extraordinary series of documentary videos available on YouTube. The 11-part documentary is about the astonishing occurrences in the life of Emma De Guzman, an Overseas Filipino Worker who was chosen to be the army of God. The videos were posted in August 2010 yet only seem a few has seen it. Popular videos would ordinarily hit millions of views but these video series hardly hit the 5,000 views mark. 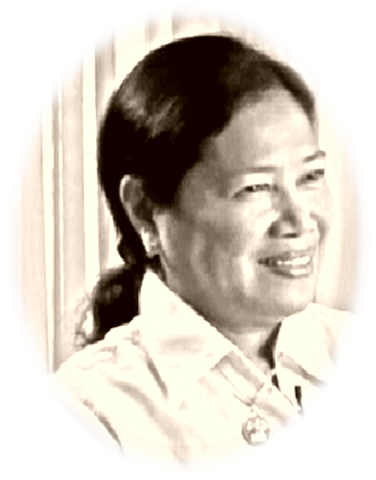 The video is about the personal encounters of Ms. Emma De Guzman with the Blessed Virgin Mary, with Lord Jesus Christ, with the Holy Saints and Angels. Her divine encounters and the extraordinary physical manifestations – having facial glitters or escarchas, precious stones emerging out of her face, pieces of the Crown of Thorns popping out of her forehead, fresh stemmed roses emerging out of her chest, the stigmata she had, her writings of the scriptures written in the popular Greek language during the time of Jesus, angel’s feathers, etc. – gave me the largest goose bumps that my body can afford. I was at a total awe when she recounted how the Blessed Virgin Mary taught her how to properly pray the Rosary, how she saw Jesus in a small chapel and how she gleefully described the Saints that she met. I completely admire her for not questioning the Devine on the tasks given to her. But what moved me most is how simple, ordinary and remained down to earth Ma’am Emma is as a person even after she has been chosen as an instrument of God as well as the uncomplicated principles and messages she relayed to those who would have the rare opportunity to watch and listen to her in the video. I confess that I cried so hard while watching these 11-part videos.